No one knows wool felt like Kelly Harris Smith. 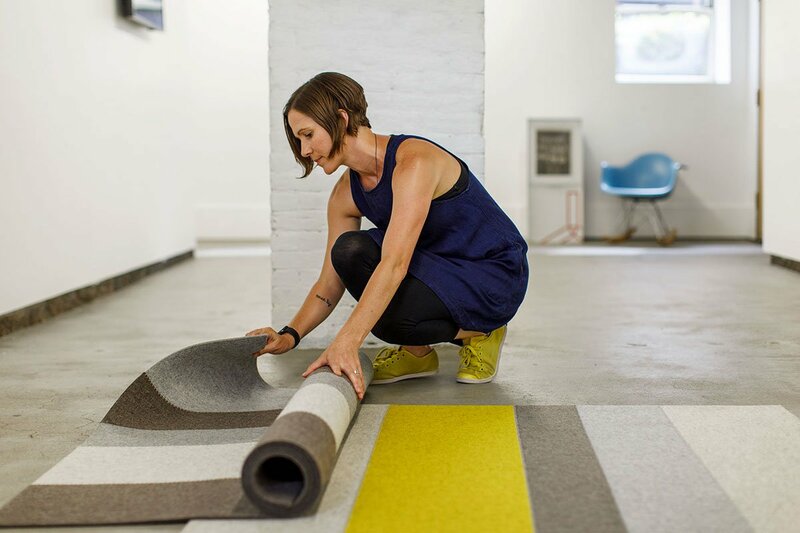 The FilzFelt co-founder pioneered the use of wool felt and her limited edition floor covering collection combines this natural material with her love of all things striped and sustainable. 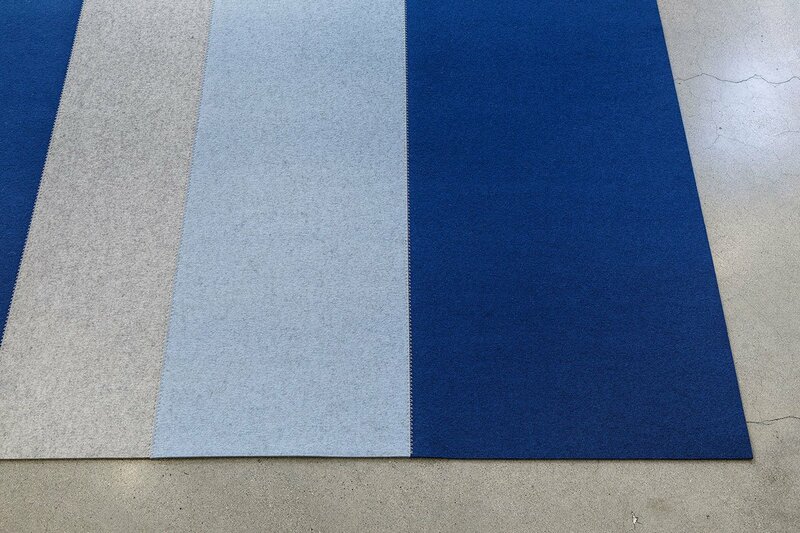 Stripes Floor Mats are made from reclaimed post-industrial remnant felt that is cut and bound together with a zigzag stitch in durable grey nylon thread. 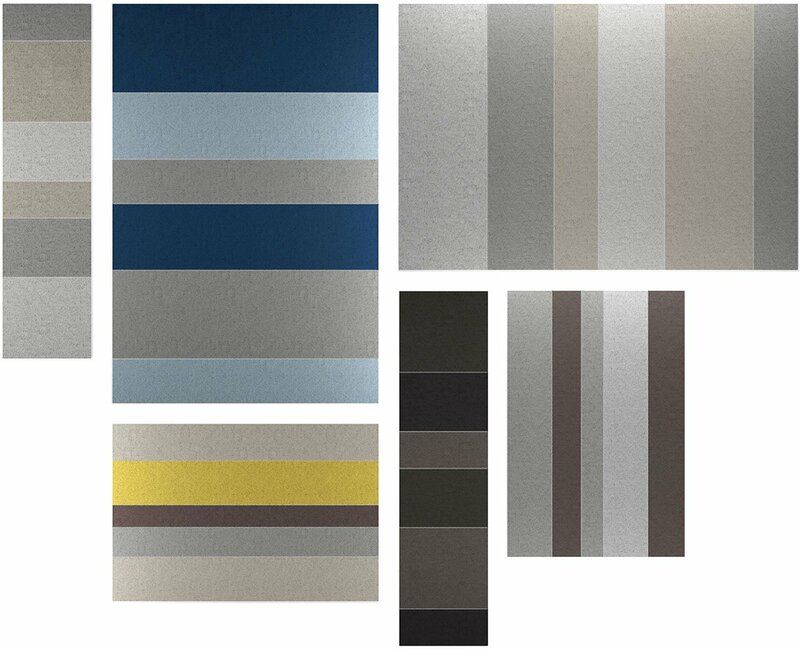 Each of the three sizes (large 6x9, medium 4x6, and a 2x8 runner) is available in two colorways that feature neutral greys with pops of color here and there. 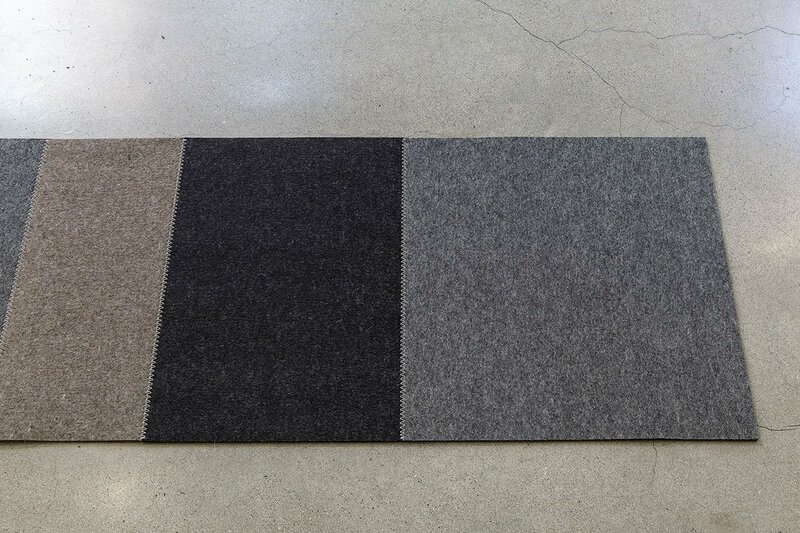 These floor coverings are available at extra-special promotional prices of $195 for the runner, $295 for the medium, and $695 for the large. The collection will be released on Monday, October 30 and available for purchase exclusively on filzfelt.com.